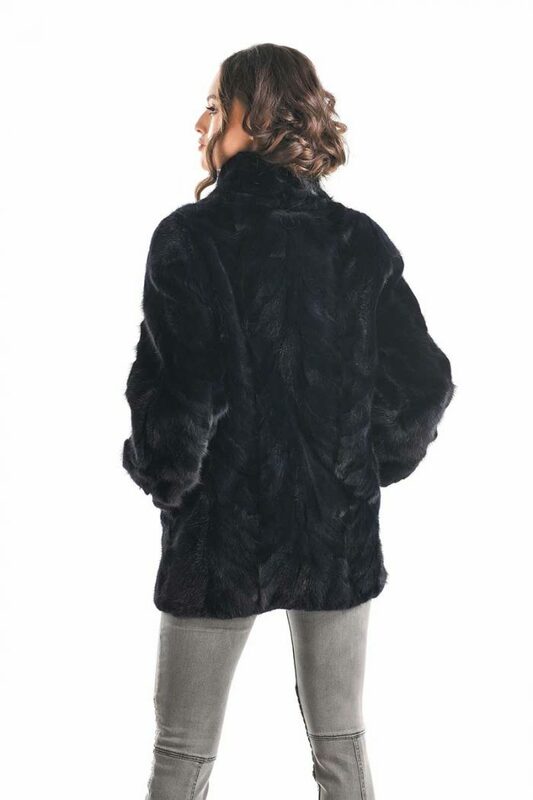 Natural fur coat for women made from mink fur. 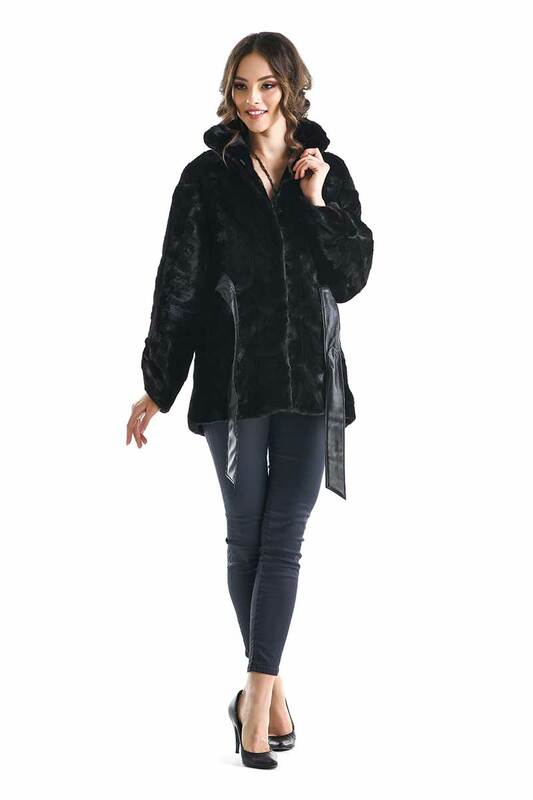 This fashion creation is done with the utmost care, so the fur pieces are perfectly combined. 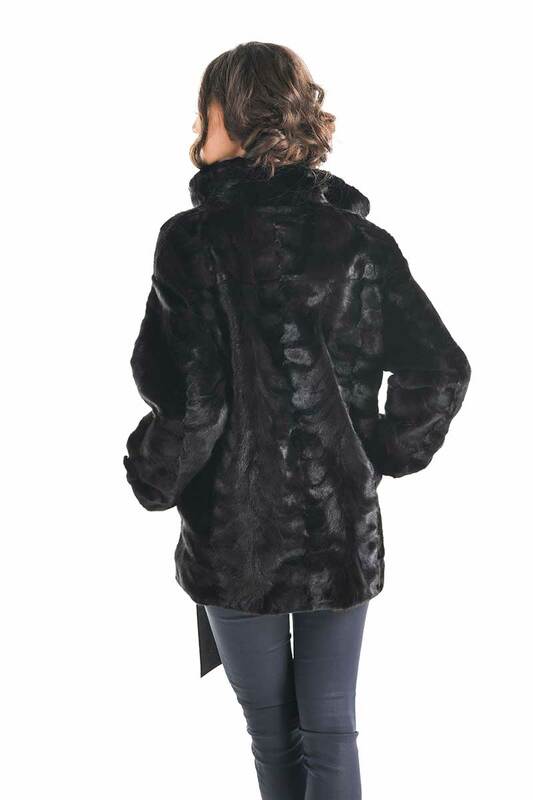 The garment is lined inside, its closure is made by clips and the collar is perfect for the coldest winter days. 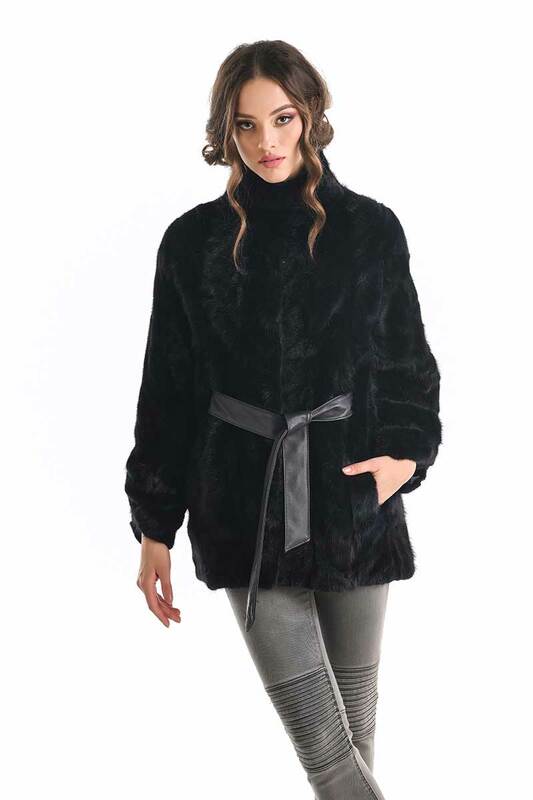 The coat is provided with a belt that highlights the waistline and two pockets, which are extremely useful during cold days. It is also provided with two studs in the sleeve so that it can be adjusted.